Only in a society that understands that minorities are no different from the majority, and also understands that sexuality is a spectrum, and being at the other end of the spectrum should not deny you the right to live a full life, could see the talent of an actress like Stephanie Allynne in full display for the world to see. Those who might not be family with Stephanie Allynne will surely remember her from critically celebrated works like In a World… and On Mississippi. She is a multi-talented Hollywood personality who is an actress, writer, and comedian. She also happens to be a lesbian who is married with two children. In her short career which began in 2009, she has managed to appear in over 60 films and television shows. Allynne is a fascinating personality and we take a deeper look into her life and career below. Read on. Stephanie Allynne was born on the 19th of September, 1986 in Claremont, California. The identity of her parents is very much unknown at this time but it is known that despite being born in California, she moved to Buffalo, New York with her family when she was a teenager. She, however, returned to California, this time to Los Angeles to begin a life as a standup and sketch comedian. At the age of 18, Stephanie Allynne joined the popular improv group, Upright Citizens Brigade. While she harnessed her skills as a comedian and trained to become an actress, she worked with ASSSSCAT, Wild Horses. While Allynne continued to gain knowledge as an actress in Los Angeles, she gained academic knowledge in Washington DC at Howard University. While she was at Howard, she studied and earned a degree in Literature in English. Stephanie Allynne made her onscreen debut in 2009 and has been on television ever since, racking up multiple credits in both film and television. As mentioned earlier, Stephanie Allynne is a writer, an actress, and a comedian. It is, however, in acting that she has made the biggest splash so far in her career. Ever since she made her debut in 2009 on UCB Comedy Originals, where she appeared in four episodes including writing one herself, she has gone on to star in over 60 film and television projects. As an actress, she has starred in several television shows like Can’t Get Arrested, The Back Room, Ground Game, The Midnight Show, The Birthday Boys, The Mindy Project and many more. In Film, she has appeared in movies like In a World…, People Places Things, Mike and Dave Need Wedding Dates, The Front Runner and many more others. As a writer, she has gotten credits in projects like One Mississippi which she also starred in as an actress. She also wrote the short films The Fun Company and No is a Full Sentence. 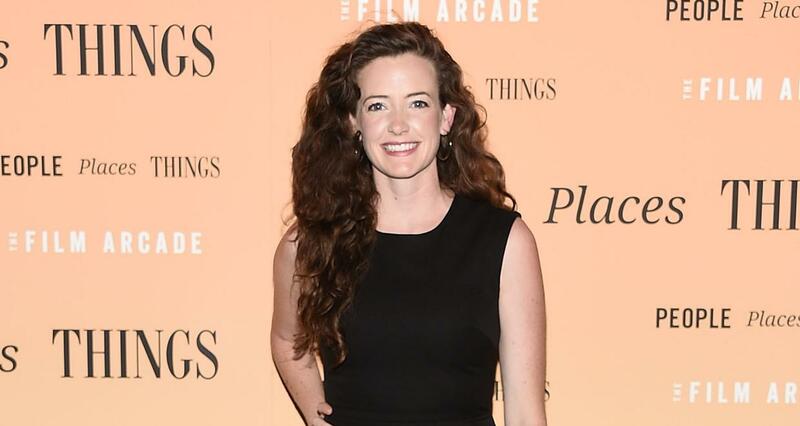 Since they met on the set of In a World…, Stephanie Allynne has worked with her wife, Tig Notaro on a few projects such as One Mississippi, The Fun Company and a couple of others. 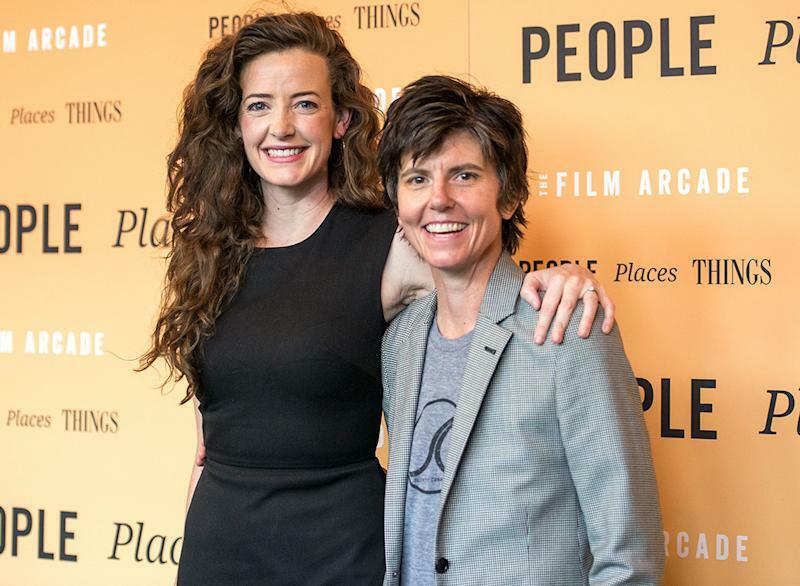 There is a phrase that is common in the LGBT community that says ‘Love is Love’ and it is one that best fits Stephanie Allynne story as the wife of fellow comedian, Tig Notaro. For a long time, Allynne lived under the impression that she was a straight woman until she met Tig Notaro. The building of affection and the overwhelming attraction that she developed with each interaction with Notaro was an exercise in the truth that love is not bound by any form and each form is valid on its own. The couple got married on the 24th of October, 2015 and have since welcomed two children; twins who were born via a surrogate mother in June 2016. Their children, two boys, are named Max and Finn Notaro. Disappointedly, the long filmography of Stephanie Allynne hasn’t resulted in a large personal wealth for her. The actress slash comedian is worth a comparatively small net worth of $1.5 million. She can look towards accumulated appearances in shows like Dream Corp LLC and Animals as contributors to her modest wealth. Stephanie Allynne is a beautiful woman with a height of 5 feet 8 inches. She has an accompanying weight of 55kg. Other noticeable body features include blonde hair and black colored eyes. Her body measurement, measuring her bust, waist, and hips are 36, 29, and 34 inches respectively, giving her a fit and shapely figure.